Phillip DeWayne Cunningham obituary. Carnes Funeral Home. Phillip “Phil” DeWayne Cunningham, age 84, of Corpus Christi, Texas passed away on Monday morning, June 4, 2018 at his home, surrounded by family. Phil was born on July 25, 1933 in Kenedy, Texas. He proudly served in the United States Navy aboard the USS Douglas H. Fox from 1952 to 1954 then in the Naval Reserves until his Honorable Discharge in 1960. He graduated from Texas A&I, Kingsville with a Bachelor of Arts Degree. There he met his beloved wife Roma Jean McCoy. They were married for 60 years. Loved ones that will deeply miss Phil until they meet again include his wife Jean, two brothers Wiley B. “Pete” Cunningham and William “Bill” Cunningham, two sisters, Geraldine “Gerry” Lummus and Barbara Jean Woolsey, his three sons Phillip Jr., Clifton (and wife Natalie) and Christopher and six grandchildren Brandon, Megan, Corbin, Cameron, Ashlan and Ilan plus 30+ nieces and nephews. Loved ones that cleared the path for him include his parents Harvey Carroll and Fannie Bell, his sister Lenora Hicks and brother Harvey Carroll “Bud” Cunningham, Jr.
Phil retired from HEB Grocery Company in 1996 after a career of 38 years. 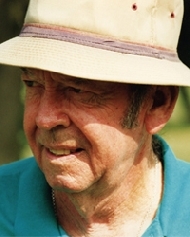 He was an avid historian and golfer who enjoyed retirement and leaves this place a little brighter than he found it. His unshakable positive outlook was contagious and uplifting to all who knew him. Phil’s wishes to family and friends were to “grieve briefly if you must, smile when you remember me” and “not to worry”. At his request Phil's body was donated to the University of Texas Health Science Center at Houston for research into the rare, aggressive incurable cancer he had in hopes they could possibly develop a cure or at least treatment. A memorial will be held at a future date when his ashes have been returned to the family.